The Ultimate Ears Boom 2 Twilight Magenta Wireless Mobile Bluetooth Speaker. - 360-degree speaker that drops bold, immersive sound in every direction. 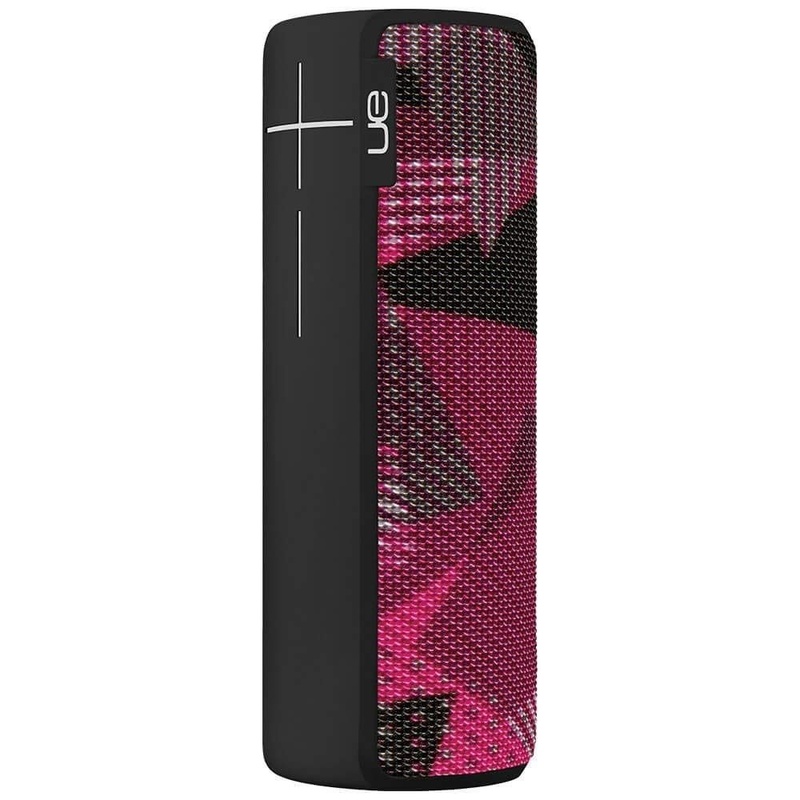 - Life-Resistant: Colorful acoustic skin with plasma coating makes UE BOOM water and stain resistant.Actual battery life will vary with use, settings and environmental conditions. - Charge time: 2.5 hours. - Live wirelessly: switch songs, adjust volume and take phone calls from up to 50 feet away. Easy pairing via NFC for NFC-enabled devices. - Double Up: Wirelessly connect two UE BOOMs together in stereo via the UE BOOM app to spread the sound and pump up the volume.